DI partner Campaign Legal Center has developed the Restore Your Vote tool to provide information and resources to help those with past felony convictions reclaim their voice in our democracy. The Democracy Initiative has created a voting rights petition as a center of gravity for our anti-voter suppression work. You can sign out petition telling elected officials "Don't Mess with our Vote!" here, and access our engagement guide here. As the effort to suppress votes ramps up around the country to keep entrenched politicians and wealthy interests in the driver's seat of our democracy, we need partners and allies to send out our petition link alongside any actions that you send to your members. DI partner Lawyers Committee for Civil Rights Under Law, alongside other DI partners and allies, are leading the Election Protection Coalition's work with the Election Protection Hotline (866-OUR-VOTE). The Election Protection Coalition currently needs poll monitors during early voting and on Election Day, and volunteers with legal experience to work the hotline. 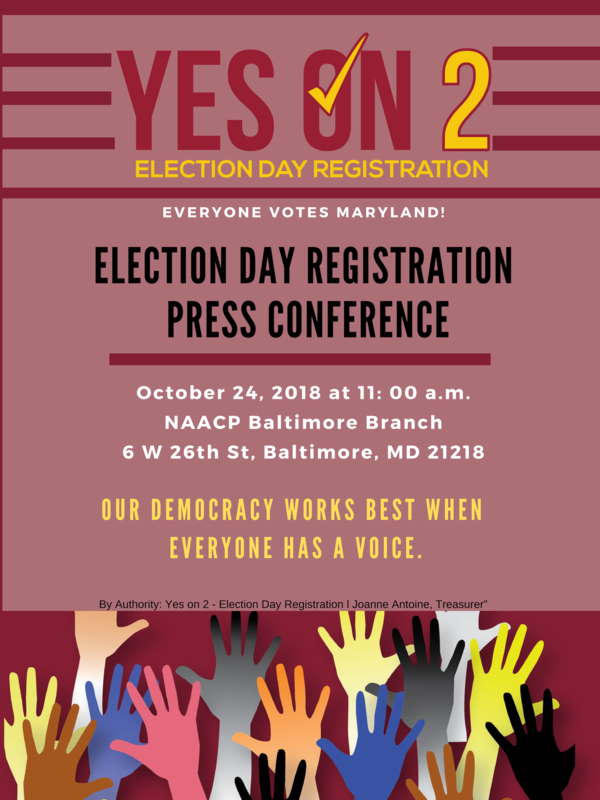 Additionally, we need partners and allies to boost these volunteering opportunities and share this resource on social media; the Election Protection Coalition has provided sample emails and social media graphics. 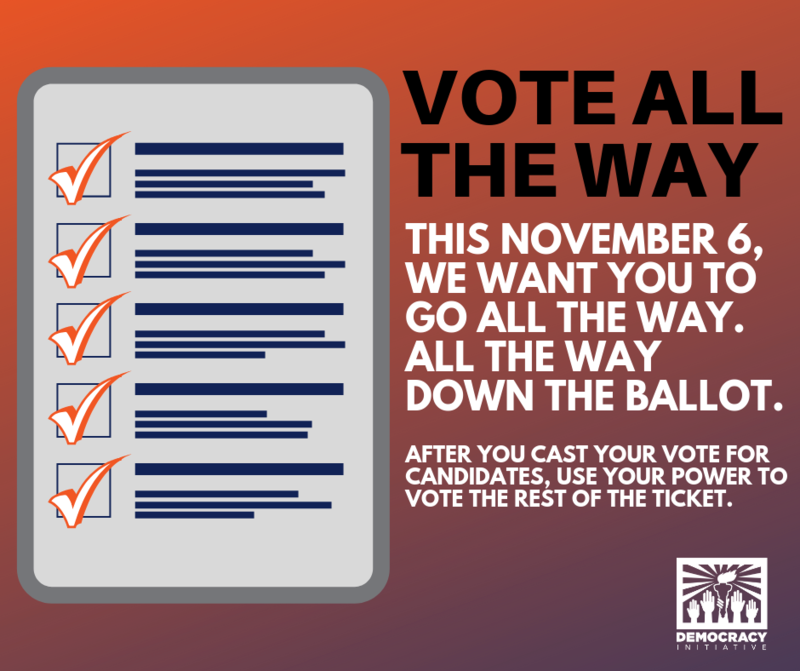 Our priority campaigns are polling at unprecedented levels of support—its crucial that you tell your friends, family, and organization members to VOTE ALL THE WAY down the ballot. 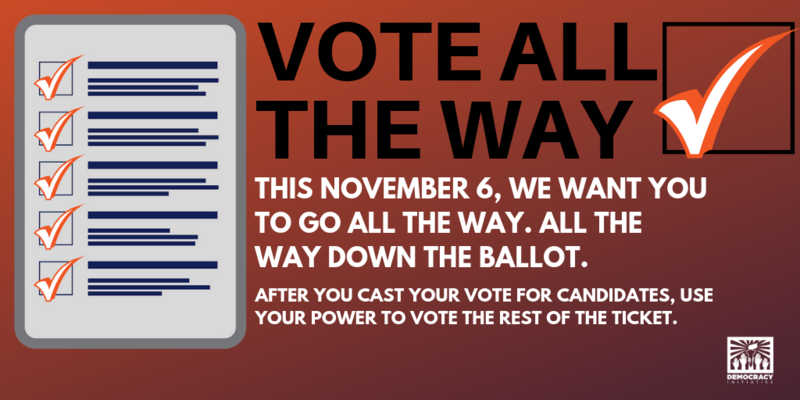 Download our Vote All the Way graphics in Facebook and Twitter sizes. Tell everyone you know!